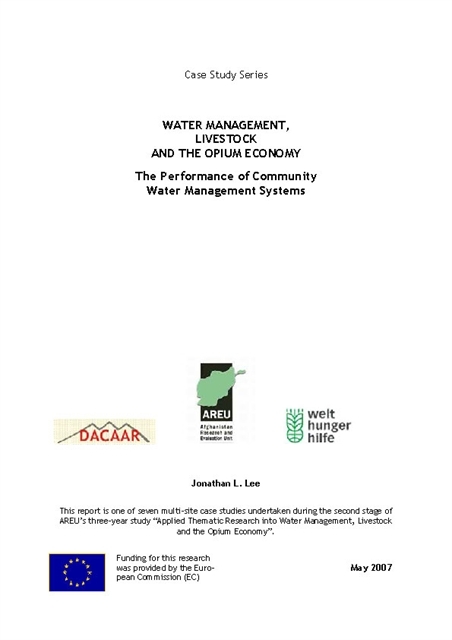 The multi-year “Applied Thematic Research into Water Management, Livestock and the Opium Economy” (WOL) is the largest ever project undertaken by AREU. 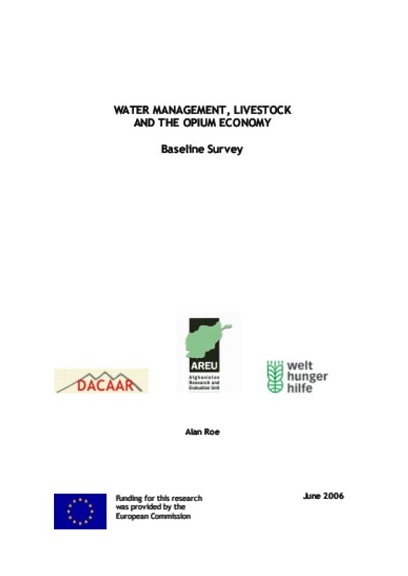 It was designed to provide policymakers with an accurate picture of the complex role natural resources play in Afghan farm systems, with the ultimate aim of improving the sustainability of rural livelihoods and reducing farmers’ reliance on opium production. 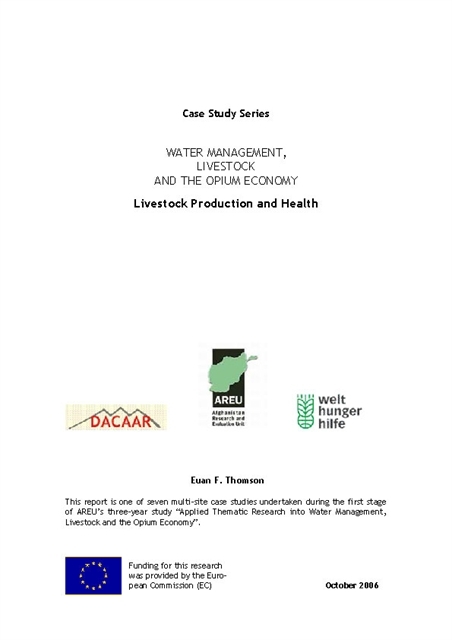 The eight-province study was conducted in collaboration with numerous implementing partners, including the Danish Committee for Aid to Afghan Refugees (DACAAR) and German Agro Action (now Welthungerhilfe—WHH). 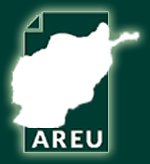 The research found strong evidence of systemic inequalities that limited access to natural resources for many Afghans. 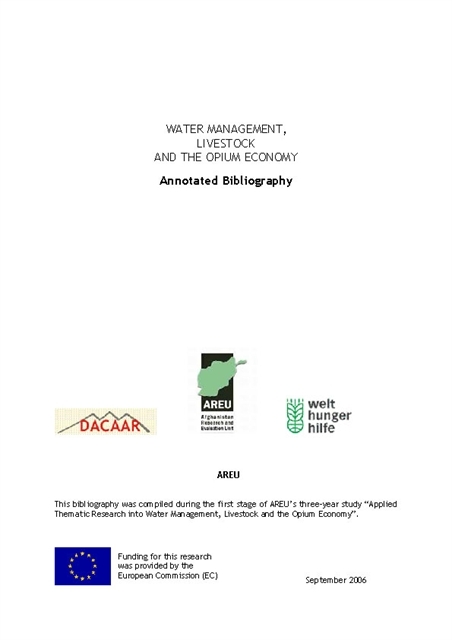 While geography, ethnicity and politics play a part, traditional community-level institutions such as mirabs (village water masters) often compound the problem by enforcing existing power and wealth structures, especially in areas where resources are scarce. 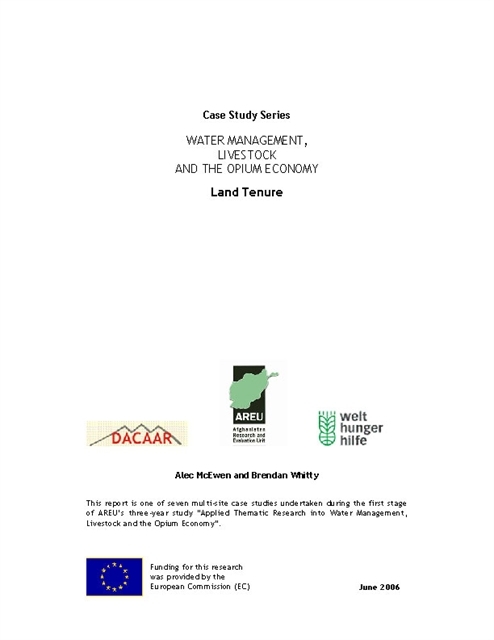 This raises important questions over the applicability of programmes that target community-level institutions of resource management as a basis for growth. 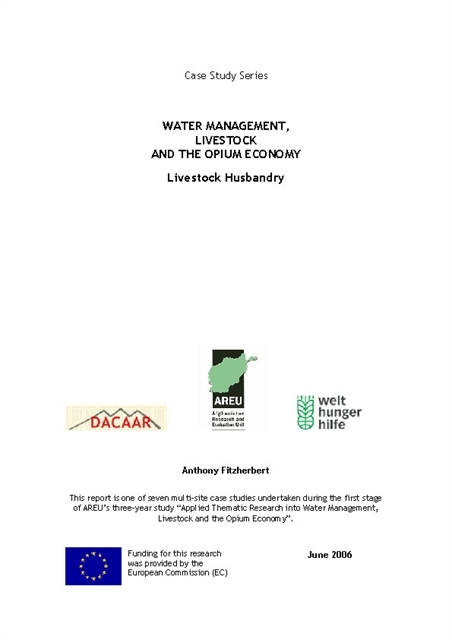 The study also suggests that policies focusing on development via market mechanisms are unlikely to help the most poor, many of whom already struggle to meet subsistence needs or are locked in highly exploitative sharecropping agreements with wealthier landlords. 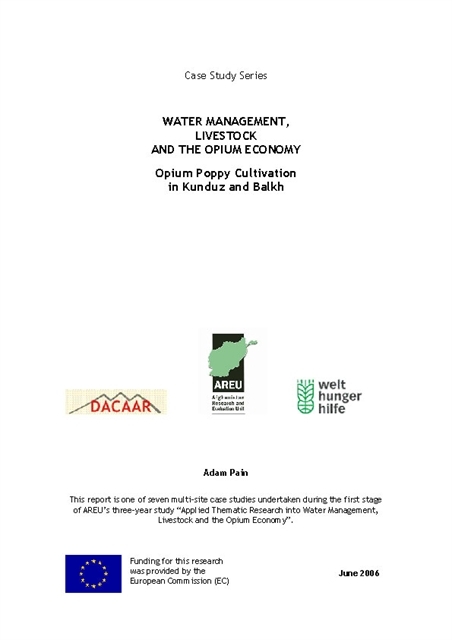 Farmers’ access to resources and markets, opportunities for alternative incomes and level of agricultural diversity all feed into a complex decision on whether or not to grow opium poppies. 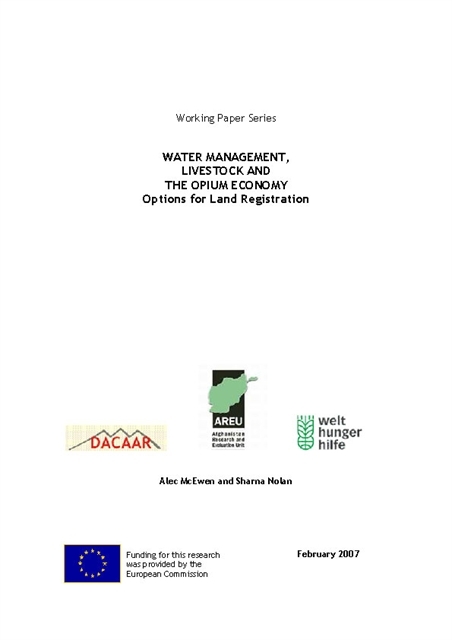 WOL data suggests that rural households are often more than willing to turn their backs on poppy production where viable alternatives exist. 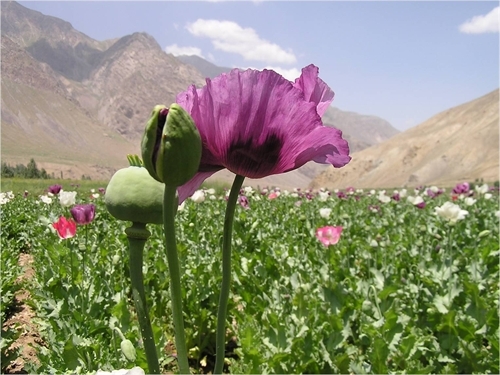 Creating such an environment is critical to ensuring the legitimacy and longevity of bans on opium production, and will be one of the country’s major policy challenges in the coming years. This bibliography was developed around the themes of natural resources management and agricultural livelihoods, which were central to the EC-funded project “Applied thematic research into Water Management, Livestock and the Opium Economy” (WOL). The research is expected to provide evidence-based recommendations for improving the effectiveness of agricultural policy and rural programming addressing the recognised lack of understanding about the ways in which rural livelihoods are constructed and respond to change.